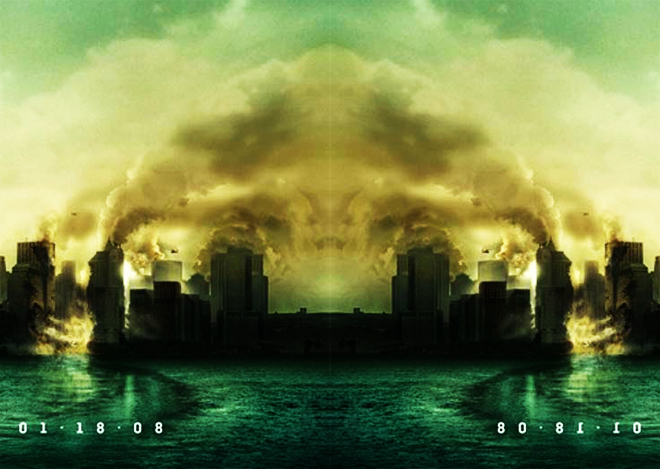 I haven’t done a two-fer like this since my Runaways review, but I was inspired by my recent re-viewing of Cloverfield as part of my month-long Halloween movie marathon. So, first, the poster. I’ve decided to go with the initial teaser poster, which had no text on it beyond the movie release date. That’s right, it didn’t even have the movie title on it at first. But, honestly, when you use imagery like this poster uses? You’re just going to attract even more attention by the fact that all you’ve included is the release date. Brilliant bit of marketing, no? So, no text, no name, no tagline. Only a minimally written date in a nice white font, with dots as separators. Obviously, we’ve got to figure some things out based on what we do have. Let’s start with the primary focus of the poster: a headless Statue of Liberty. Not just headless though. From the exposed, jagged remains of the support frame, the torn copper, and the plume of debris and smoke, it’s obvious that Lady Liberty’s head was removed rather violently. By something very large. And that very large something has headed into Manhattan. See the wave pattern in the water, leading from the Statue of Liberty toward the destruction within the city? Something has moved from the harbor into the streets…and it is hell-bent on taking down Manhattan. Look at the wreckage of the buildings that were in its way when it came ashore. Look at the plumes of smoke rising from the heart of the city. Look at the helicopters hovering overhead, so incredibly tiny in comparison with the surrounding damage. Whatever has done all this is large enough that those dinky little choppers aren’t going to do much else besides probably annoy the hell out of it. Not much else there though, eh? Now, this one is a little more convincing and impressive if it’s true. Take the original poster, duplicate it, flip it horizontally and line up the edges…and voila! See the face? It actually kind of does look like what’s ultimately revealed as the Cloverfield monster. Or any other monster from any other J.J. Abrams movie. The man’s about as original as a Xerox machine. I hadn’t seen Cloverfield since I went to see it in the theater. I did remember liking it enough that when I saw a used copy for sale for a couple bucks, I went ahead and picked it up (looking back, however, I was probably remembering the fun I had with the friends I went with rather than the actual movie). However, even more vivid was my memory of nearly hurling from the unrelenting shaky cam action. Not even The Blair Witch Project made me feel quite as queasy as Cloverfield did. Every time I thought about watching the DVD, that memory would drown out all others and I would simply put it back on my shelf. I am pleased to report that the shaky cam was almost unnoticeable to me on the small screen. More noticeable to me on this second viewing, however, is how truly unoriginal and lazy J.J. Abrams is as a filmmaker. Admittedly, my opinion of him is forever tarnished by the hot mess he ladled into my lap in 2009 with his Trek abomination. That was when I first decided that he was lazy. He could have made an original science fiction film. Instead, he usurped the name of a globally revered science fiction franchise, had some hack writers throw together a script that isn’t even worthy of being pulped into Communist-grade toilet paper, and smeared his Star Wars-loving paws all over a legacy that is so beyond his reach, it’s pathetic. Why people wouldn’t let me space him for his crimes, I still don’t understand. 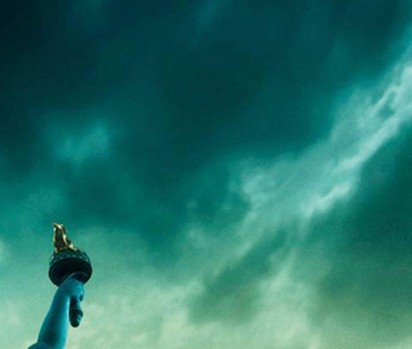 Back to Cloverfield. Most people have probably heard it described by genre fans as “Blair Witch Meets Godzilla.” That’s pretty accurate as descriptions go. Although I think a real match-up of the Blair Witch versus Godzilla would not only be awesome, it would be far more original than this movie. It’s fairly derivative as “monster attacking the city” movies go. The only “inventive” addition made here is the Barf-O-Rama shaky cam “found footage” aspect, which wasn’t really all that new by this point anyway. What’s most troubling, however, and what makes me label Abrams as lazy, is the fact that there are several scenes in this movie that tap directly into a pre-programmed societal fear that was developed on September 11, 2001. New York under attack. Buildings toppled in the middle of the City That Never Sleeps. Plumes of smoke and debris roaring through the heart of Manhattan. Survivors trying to escape by foot on bridges leading off the island. 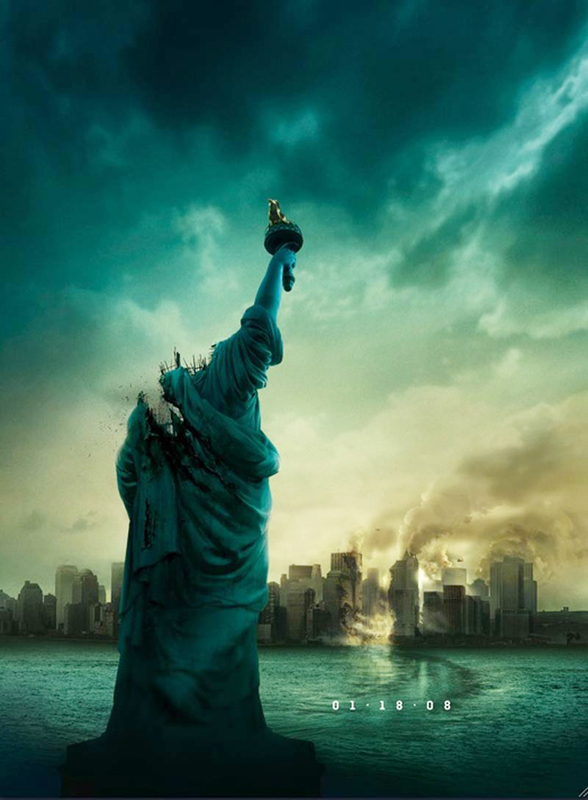 Some of the scenes from Cloverfield are almost frame-for-frame images that we witnessed on auto-repeat on all the 24-hour news channels that were covering that awful day in 2001. For Abrams and his band of filmmakers to tap into the still raw emotions of that day for what otherwise would have been just another cheesy monster movie (with CGI that has not aged well at all in some areas) feels cheap…and lazy. I know that great horror often taps into our darkest fears and exploits them. This, however…I don’t know. Maybe I’m being too critical because I hate Abrams so very much. Although I do remember feeling displeased by these scenes the first time I saw the movie as well. Back in the halcyon days in which I still had hope that Abrams wouldn’t punch Trek fans in the collective naughty bits with a power converter from Tosche station while blaring Beastie Boys the whole time.